Although the Flora-Bama is a popular evening retreat for locals and tourists alike, it offers more than just Wednesday ladies’ nights and living life on the edge (of the state of Florida, that is). The Flora Bama is also known for hosting performances of legendary song writers and Nashville renowned musicians. Who knows, you may even find an incognito Jimmy Buffett! The Original Point Restaurant on Innerarity Point Road is a local favorite for food and entertainment. Try their world-famous mullet and po’boy varieties for a true taste of Perdido cuisine. The raw musical talent that filters through The Point is just a facet of what makes this town a gem. Check out the “Ole River String Band” on Thursdays for some bluegrass tunes. Soft rock trios play throughout the week, adding a sweet strum and harmony to your delicious meal. 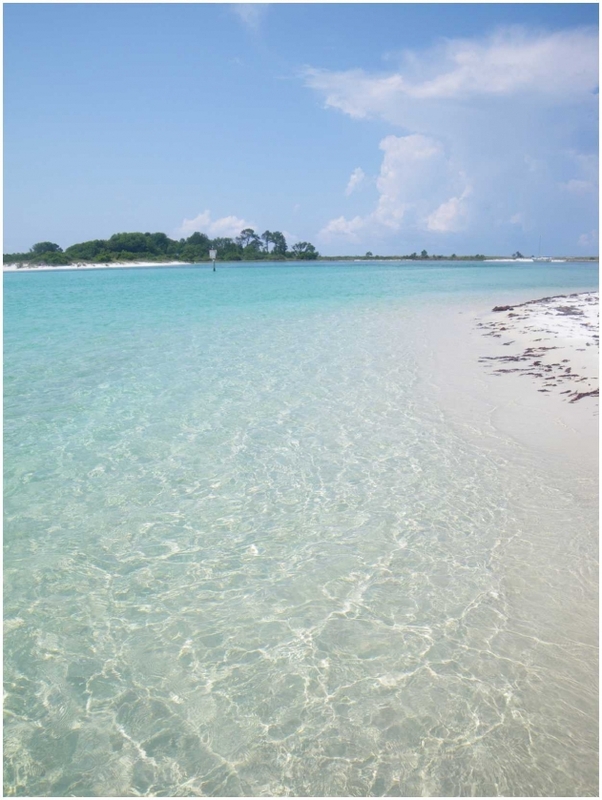 There is more to the beautiful water and scenery of Perdido Key than the views of the Gulf of Mexico. The Intracoastal Waterway consists of 16 miles of calm water than runs between the key and the mainland. Join an eco-friendly tour or kayak at your own pace. You are bound to come across wildlife, either while on the water or in the areas you explore by foot after pulling up to the sandy bank. The Pensacola Navy Base is home to the world-famous Blue Angels. These F-18 jets are commonly seen flying in their diamond formation and doing their anticipated low-flyovers. While they travel almost every weekend for shows across the country, they can be seen practicing over NAS Pensacola during the week. If you want a front row view of their practice shows, make the short drive to the Navy Base for a closer look. Perdido Key and the surrounding areas have historical significance that can inspire a few different island adventures for the whole family. 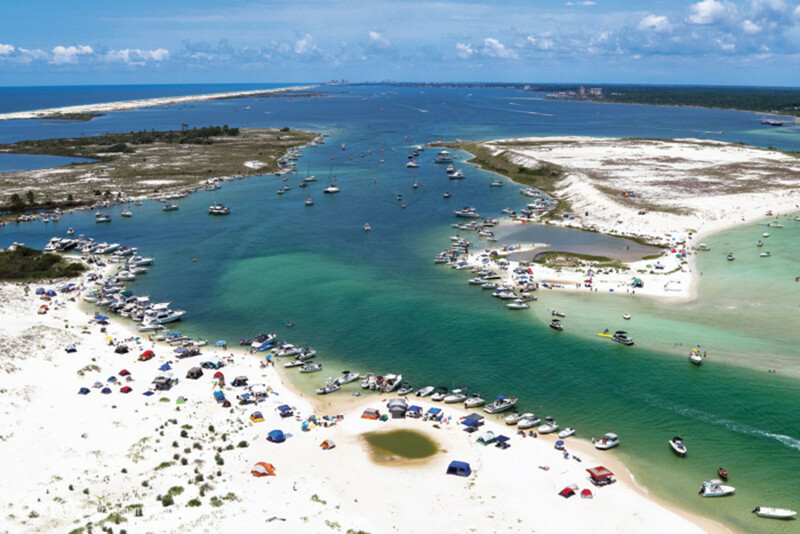 From Perdido Key, rent a boat from Lil Johns or the Flora-Bama Marina and cruise along the emerald coast. You will find the same scenery along the Gulf Islands National Seashore that the conquistadors saw when they first landed in the area back in 1559. There are three Civil War forts in the Perdido area: Fort Pickens, Fort Barrancas, and Fort McRee. While Fort Pickens and Barrancas can be toured, McRee lies in ruins and has no physical structure to walk through. This doesn’t stop the fun, though! You can find dozens (maybe even hundreds) of boats lining the shores of Fort McRee and Sand Island. This can be an all-day outing or a boat ride pit stop for you and the whole family. Bring the boat, food, drinks and even your dogs to join in on this island adventure! Between the State and National parks, there are numerous nature trails to explore. These trails run along the beach, forest, intracoastal waterway or a combination of the three! 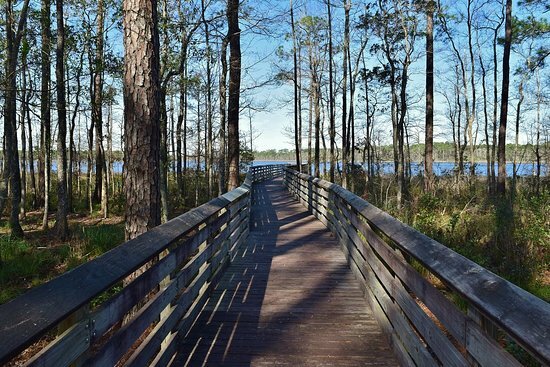 Check out the trail listings from Big Lagoon State Park, Tarklin Bayou State Park or the Gulf Islands National Seashore to plan your nature trail trek. The Wharf is an Orange Beach destination spot that will keep you busy for the whole day! The wide, palm tree-lined sidewalks are perfect for an afternoon stroll. Make sure to stop at the numerous shops and restaurants for a local treat. The Marina is a relaxing place to gaze at the beautiful yachts or experience the excitement of the Orange Beach Billfish Classic. If you’re a music lover, plan ahead and grab your ticket to a show at the Wharf Amphitheatre before it sells out! Early morning beach air is great for the soul, especially when paired with a quick trip to Cafe Beignet. This local breakfast favorite opens at 6:30 AM and features New Orleans style beignets and Chicory coffee. The store also features local art and jewelry made by employees and friends!